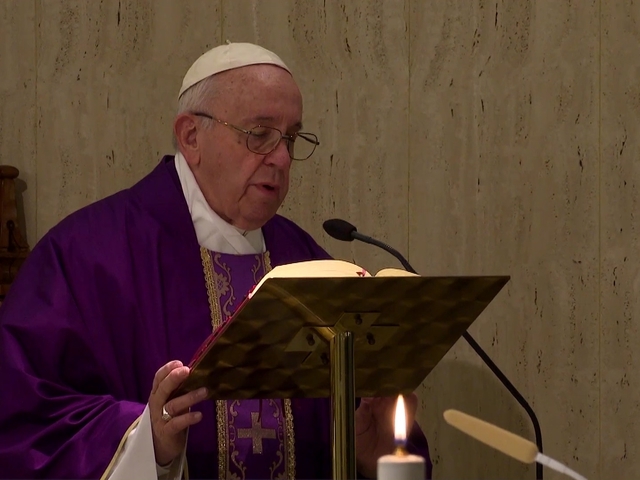 In his homily at Santa Marta, the pope explained how important it is to act and love your neighbor in a concrete way, as Jesus did. Pope Francis asked Christians not to fall into temptation when they doubt their feelings and stand firm, just as Jesus did when the devil tempted him in the desert. 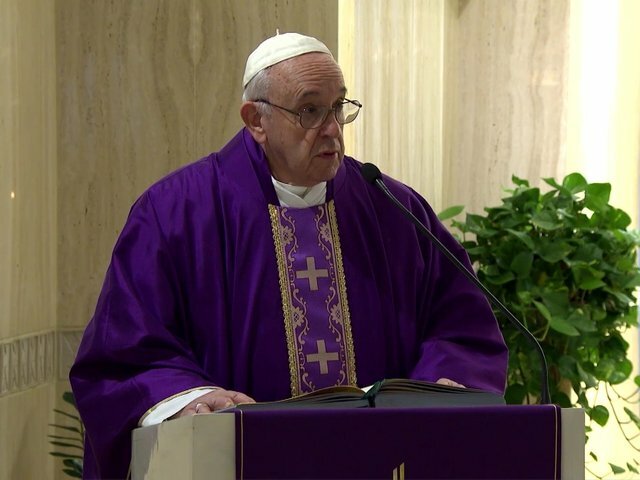 The Pope said the first thing needed in this is our belief in God, the Son of God, who became one of us in flesh - a Jesus, a concrete God, who was conceived in the womb of Mary, who was born in Bethlehem, who grew up as a child, who fled to Egypt, who returned to Nazareth, grew up and preached. The second condition of this pact is also concrete he said – that of loving one another, concrete love, not fantasy love. It’s not saying “Oh how much I love you” and then destroying the person with tongue and slander. Pope Francis stressed on concrete love, saying God's commandments are concrete and the criterion of Christianity is its concreteness. They are not ideas and beautiful words but concreteness, which is a challenge. Only this way, the Pope said, can we ask what we what we want from God, with "courage" and "brazenly". The Pope said that besides concrete faith in Jesus and concreteness in charity, the life of a Christian also requires spiritual vigilance. Regarding this, the Pope said, St. John speaks about struggles against ideas or false prophets that propose a "soft" Christ, without much flesh, and love for one's neighbour is a bit relative. 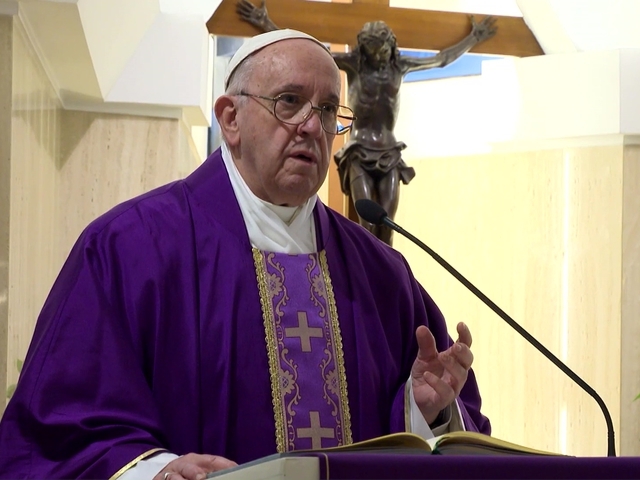 The Pope said we need to discern whether an inspiration comes truly from God, because there are many false prophets in the world and the devil always tries to distance us from Jesus and from remaining in Him. 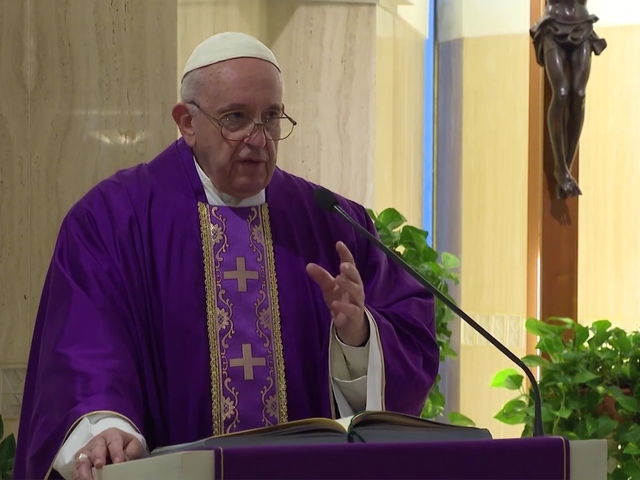 The Holy Father said that besides examining one’s conscience regarding sins at the end of the day, a Christian must also find out what is happening in the heart, an inspiration or a madness which the Spirit sometimes drives us to. One such case of the madness of God was at the Pope’s Mass - a man who left Italy more than 40 years ago to be a missionary among lepers in Brazil. St. Frances Cabrini always went out to care for migrants, the Pope said adding one must not be afraid but discern. 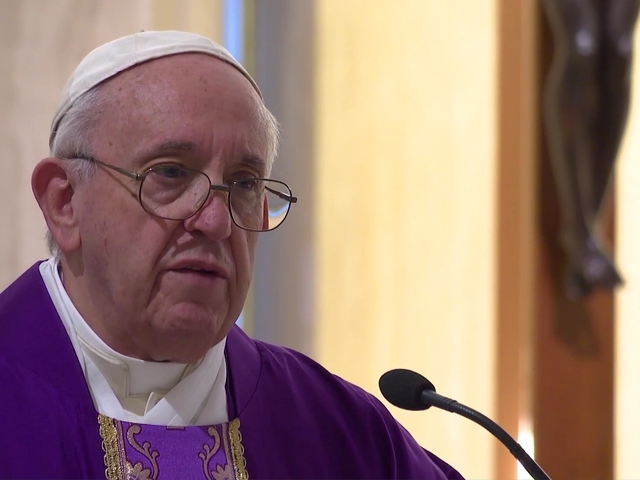 In this task of discernment, the Pope said, it is a great help to hold spiritual conversations with people of spiritual authority who have the charism to help us see clearly. They could be priests, religious, lay people and others who have the ability to help us see what happens in my heart so as not to make mistakes. The Pope said, even Jesus had to do this at the beginning of his public life in the desert when the devil proposed three things to Him, that were not according to the Spirit of God and He rejected the devil with the Word of God. The Pope said we are no exceptions. The Holy Father pointed out that even at the time of Jesus there were people of good will who thought that there was another way of God. The Pharisees, the Sadducees, the Essenes and the Zealots, did not always take the best path. The call is therefore to "meekness of obedience". The people of God, the Pope said, always go ahead in concrete charity and faith, a discipline that helps the Church grow, avoiding the philosophies of the Pharisees or the Sadducees. 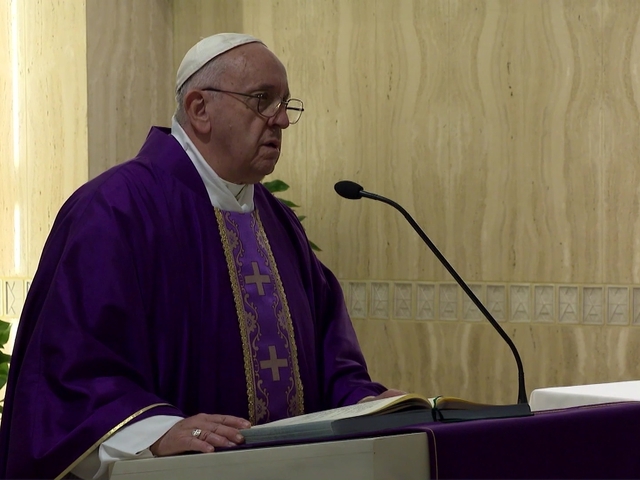 The Pope concluded saying it is God who became concrete, born of a concrete woman, lived a concrete life, died a concrete death, and asks us to love concrete brothers and sisters, even if some of them may not be easy to love.